Another month has gone by, and it’s really awesome to see the Catacombs coming together. Since this is the first (of many) dungeons in Shards Online, we are working very hard to make sure it feels unique. From necromancers raising the dead to flame traps to rooms that lock you in, we are filling the Catacombs with both terrors and untold treasures. The new bone armor looks absolutely amazing in game and we’ve created some new necromancy spells that you will be dying (no pun intended) to get your hands on. The two bosses of the Catacombs, The Void Guardian and Reaper of Death, are deliciously evil and we are giving them custom abilities and spells to make their encounters feel truly unique. With the team heads down and marching towards Alpha, I wanted to take this opportunity to talk a little about our plans for the future of the project. Our next major public event is the Steam Greenlight campaign in April (Exact date TBD). We will be releasing this campaign at the same time as our new game trailer reveal which is going to be amazing. We will need to band together as a community to make sure we get through that process as quickly as possible. We are really looking forward to exposing the project to a whole new audience there on Steam. The next event will be our Alpha Preview in mid-late April. Just like we did with Pre-Alpha 3, as we approach feature complete for Alpha, we will host a major event with a large promo key giveaway, temporary NDA lift, and multiple Twitch streams. The goal will be to collect as much feedback as possible to help us nail down exactly what we need to do before we can consider ourselves ready for our Alpha 1 release. I am so excited for Alpha! I can’t wait to show the world what we have built together. Supreem attempting to dodge one of the many traps in Catacombs. Our monthly Community Roundtable will be happening on our Twitch channel this Saturday, March 12th at 1pm EST (6pm UTC). Supreem, will be going through the items in this newsletter and discussing them in more detail. He will also do a demo of some of the new Catacombs content and answering questions from the community. After the live stream, we will be gathering on our shiny new Test Server to do some PvP at the arena. We are also going to have an Animal Taming pet battle royale. Remember, you have access to special commands on this server for setting your skills/stats and creating items. Try “/help” for a list of available commands. Anyone who logs onto the Test Server during the event will be awarded 50 loyalty points, so come join us and lets have some fun! Madness will ensue on Test Server this Saturday. If you are looking for a good reason to upgrade to the Founder’s Level (75$+) here it is! The official servers will be shut down exactly one week before our Alpha Launch. Then, three days before the official launch, we will open the servers to our Founders Level supporters. This means you get a head start creating your character and securing that awesome housing location. The Founder’s World looks even better in game than it does in the concept. Take a look at this first ever screenshots of the map. The Founder’s World is a VIP club floating all by itself at the edge of the universe. Only Founder’s Level (75$+) supporters will be able to use the gate to travel to this world on official servers. Aside from being the coolest, most exclusive place in the universe, it also has a merchant that sells some items that can’t be found anywhere else..
We wanted to give the readers at massivelyop.com a deeper look into one of the features that separates this game from many other online RPGs, the skill system. Take a peak and share it with your friends! We know it’s been a while since we’ve released new content. That’s because Clusters and Catacombs are HUGE features that are very difficult to release in pieces. Since we still have a lot of work to do on the lowest level of the dungeon (Level 3), we’ve decided to let our playtesters try out the first two levels of the dungeon first. On March 24th, we will release a new build (0.3.3) and upgrade Azure Sky to use the new cluster technology. This will add the Catacombs and Outlands maps to the server. The Void Guardian protects the lowest level of the Catacombs. 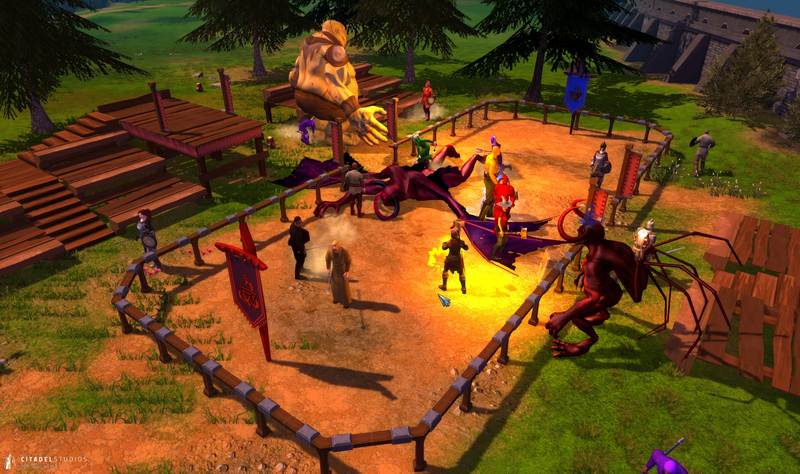 Shards Online is not only a game that contains multiple worlds, but it also contains parallel universes. We’ve mentioned this before but never really explained how its going to work. There are many gateways that connect the worlds of Shards Online. They were created by an ancient alien race that ascended to godhood eons ago called the Strangers. Most of these gateways connect the worlds that were formed from the shattering of Aria. There are a few however, that connect worlds existing on entirely different planes of existence. These are called inter-dimensional portals. One of which exists on the world of Celador that we all have come to call home. Each official ruleset in Shards Online runs on a single server. As the population grows in Early Access, we will slowly open access to additional universes from the inter-dimensional gateway on Celador. 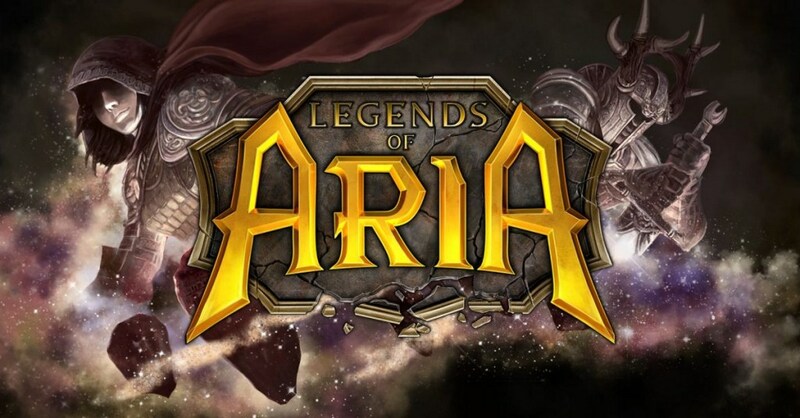 Each universe is named (we are starting with Azure Sky and Nova) and each are running persistent copies of every shard on Aria (starting with Celador, Outlands and Catacombs). 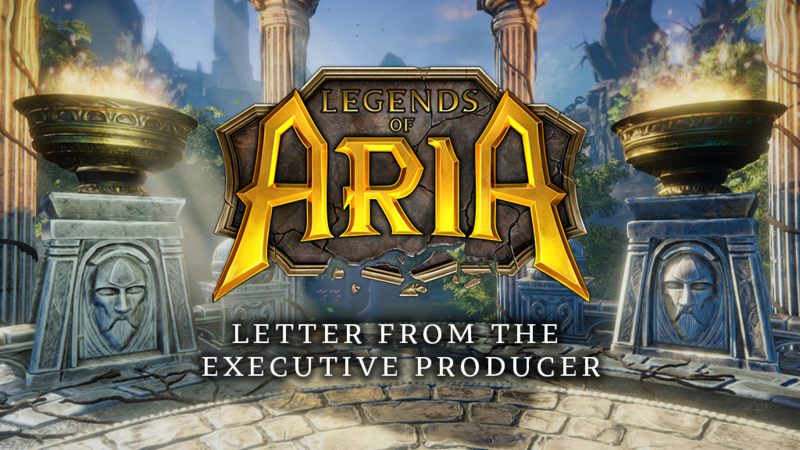 Maps like the Founder’s World and Terminus don’t actually exist in the same universe as Aria and will be traveled to through different inter-dimensional gateways.. The Dead Gate looks completely different once it is activated by the players. When we first release Alpha, the inter-dimensional gateway on Celador is not active. 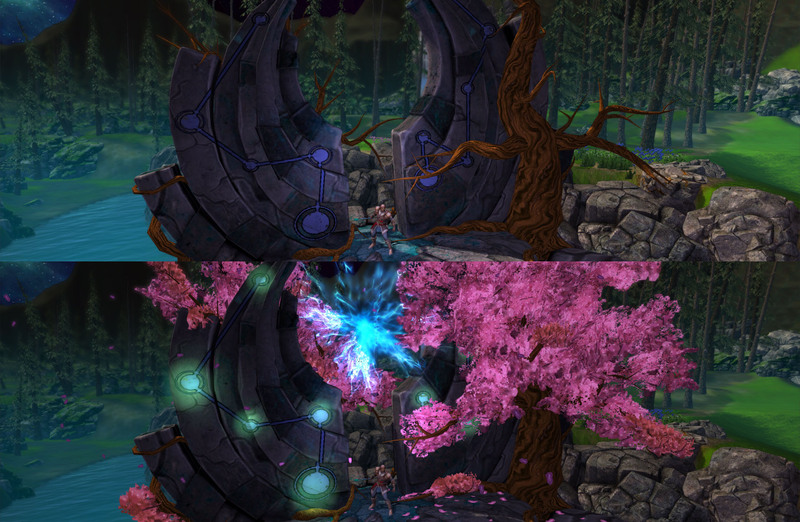 The players need to work together activate the gate by bringing ancient relics found throughout the map to the gate. As the gate absorbs these relics, it will change its appearance to indicate that it is getting closer to activating. Once it’s activated, anyone who has been attuned to the gate can freely use it to cross into the other planes. The process of attuning to a gateway will be different for each gate. For this gate, you only need to bring one of each of the types of ancient relics on Celador to the gate. By using this concept of parallel universes, we can expand the number of players our official servers can support without having to split players on multiple servers. It was important to us that this was explained through in-game lore to keep from breaking the immersive feeling we strive for in Shards Online. We don’t have an exact date, but sometime in April, everyone who has pledged at least $40 will be able to log in and vote for their favorite mod. There will be two prizes: Player’s Choice and Developer’s Choice. Both winners will receive a $200 VISA gift card that could be put towards hosting for their community server (or whatever you want to spend it on). If you haven’t pledged your support yet or if you have been dying to upgrade to a better pledge package, now’s your chance! Head over to our pledge page right now and secure your early access to Shards Online. This project will be successful because of your support.. When do I get to experiment with making my own world as part of the normal game as described on the original description for the plans of this game? Creating custom maps is part of the custom assets feature coming in Alpha 2 or 3. See the development roadmap.